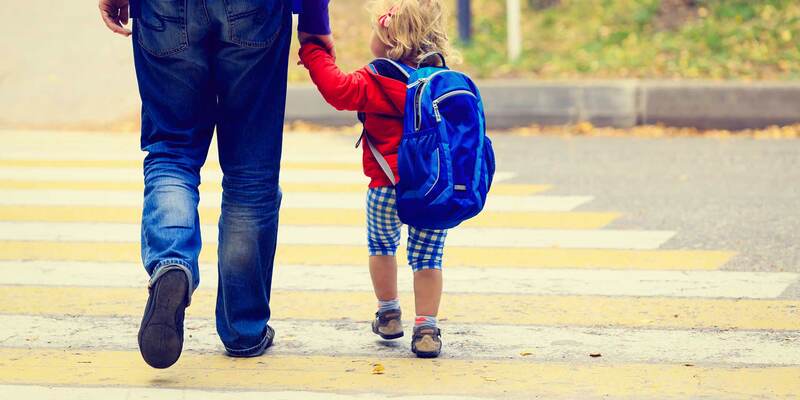 Put yourself in the parents’ shoes by asking – what would you want from a preschool? Ultimately, the conclusions you reach should drive your strategy for getting your preschool started. In order to start a preschool and put your business on the path to success, you need to focus on creating a positive experience for everyone involved, including yourself, your staff, the students, and the parents. Here we have identified 6 essential steps for starting a preschool that parents will choose over other options. Child care isn’t an entry-level profession, and parents need to know that they are trusting the development of their child with a licensed professional. For this reason, it’s especially important that you do your research to fully comprehend the industry you are entering. Starting a preschool in an area where there isn’t a need for one can end your venture before it even begins. However, there are a variety of factors to consider other than local demand. Parents will look for a preschool that is easily accessible and safe. You should also be aware of state standards for how much space will be needed for the number of children you will have enrolled. Developing a culture that focuses on growth and improvement can become a marketable asset for your preschool from day one. A positive reputation makes word-of-mouth referrals a powerful tool when parents get together and the topic of preschool comes up in conversation. Regardless of what role you take within your preschool, you represent and embody it’s values and goals starting the moment your doors open. Parents will look to you as the person who sets the tone on a day-to-day basis through your decision-making ability. This includes staffing, structuring, and facility management. At a minimum, your preschool’s staff must reach the requirements held by the state, and proper screening should be in place. Verify their past and help them build for the future. The culture in your preschool extends to the type of hires you make. Starting slow and expecting to find your footing in the industry is an easy way to fall behind. Proactively appeasing any concerns from parents and building trust is made easier by employing a capable staff that shares a passion for child care. You need parents to trust you and the talent you have on your team. Getting your preschool up and running can be a slow process, but once you get it going your best resource for improvement is the parents. They should be involved in your processes to a certain extent, especially in the early stages. Field their questions and put the effort into calming their concerns, whatever they might be. Encourage your teachers to do the same. Giving parents the chance to direct your classroom management is not the goal. Instead, absorb their opinion and use it to create the best experience for the children in your classrooms. While getting your preschool up and running it’s important to identify what your strengths are. Preferably, these are tangible benefits that parents experience. Pristine facilities, prime location, or professional staff are just a few examples of what will carry a lot of weight with parents. Without returning customers and referrals your preschool could flounder. Promotion is necessary and having the awareness of what your most marketable features are will help fulfill parent’s needs. The essential steps that we have outlined above will ease the potential strain of opening any new business. Structuring your preschool appropriately and placing value on the input of parents creates an inclusive environment that, when done properly, helps you hit the ground running. Looking for ways to simplify preschool administration while you get it off the ground and build it up for the long-haul? Check out Procare’s preschool management software for more information.